Gold mining contributes a higher proportion of economic activity in Papua New Guinea than it does in any other major mining country in the world, according to a ground-breaking new report on 'The Direct Economic Impact of Gold.A new report shows gold mining adds more than a little glitter to Papua New Guinea's economy. The report says Gold mining contributes a higher proportion of economic activity in Papua New Guinea than it does in any other major mining country in the world. The independent report by PricewaterhouseCoopers shows the direct economic impact of Gold in the world. It was commissioned by the London-based World Gold Council and is the first to examine the whole value chain for gold. It shows that in 2012 gold contributed 15 per cent of PNG's Gross Domestic Product. Ghana and Tanzania were next, with gold adding 8 per cent and 6 per cent to total economic activity. In total, gold mining contributions to the global economy were approximately $78 billion. World Gold Council's Director for Development Terry Heymann told Radio Australia's Pacific Beat the figures from the research were quite impressive. "Goldmining can contribute very significantly to economic growth and economic development and particularly when you look at the countries that are included in this study," Mr Heyman said. 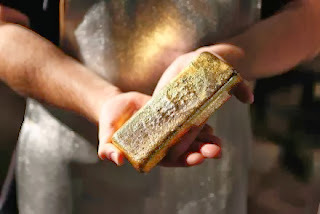 "We looked at the 15 largest gold producers and many of those are developing countries." Gold made up 26% of PNG's exported products. "These are very significant numbers when looked at within the national context," Mr Heymann said. "[The numbers] have a huge opportunity to help drive positive social and economic development in countries like PNG that are fortunate to have those gold reserves." Currently there are approximately 16,000 people working in the gold mining industry in Papua New Guinea. Mr Heymann says the report looked at the direct economic impact of gold's contribution to the global GDP. He believes that mining in many places has led to the creation of entrepreneurial cultures. "Every country that is blessed with gold reserves should think about how to use the mining industry as a way to spur development for economic opportunities that are broader than the mining industry itself," Mr Heymann said. "The mining industry can really help drive that."